Suitable for 8-10mm rope. Fits 25mm stanchions and rails. 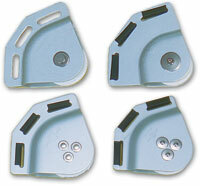 Made from Nylon with stainless steel fastenings. Part No. 3950 folds flat when not is use. Made from stainless steel with Nylon sheave. Sea Sure’s range of clew blocks are unsurpassed for quality and performance. The bearing system has been engineered to provide smooth running reliability under the most demanding conditions, whilst the aluminium alloy side plates provide strength without adding excessive weight. 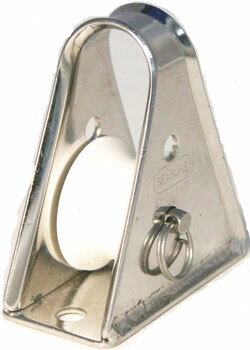 Made from 316 stainless steel with a Nylon sheave. 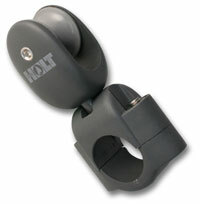 Made from 316 Stainless Steel with a Nylon Sheave. 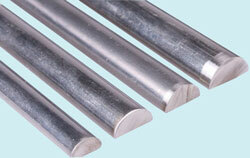 Stanchion Block is suitable for 1" (25mm) Stanchions. 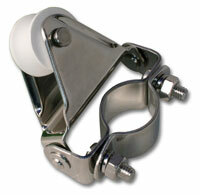 The hinged action allows the Nylon sheave to pull into line as the rope tightens. 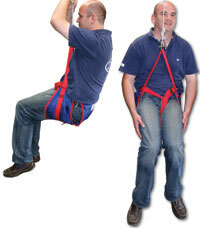 Both are for use with 10mm rope. Made fron Nylon with stainless steel fastenings. Suitable for 1" (25mm) stanchions with 10mm rope. Rotates to take up most angles. A complete range of multi-part sets complete with stainless steel key, plastic covered wire strop and parrel bead.